Now up and running AfroDeity's Where to Buy Directory!! Have a store or a page you want to promote and want to let people know where to find you?? Not sure where to look when you want to buy hair care product online or in store?? 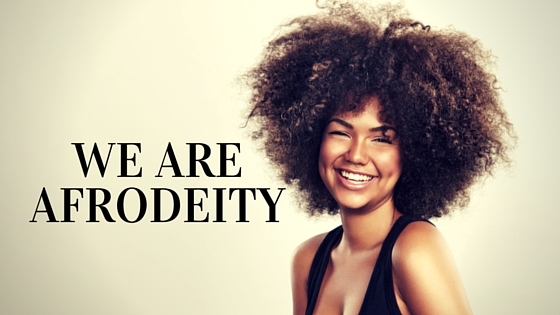 AfroDeity's Where To Buy Directory can help promote your store or help you find what you are looking for! 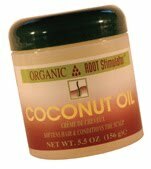 Get your skin and hair into shape for the summer months with Organic Root Stimulator’s Coconut Oil. Its nourishing properties will promote skin renewal and will repair scalp tissue that causes flakiness. For daily requirements, you can use this product as a lightweight grease to add natural shine to your hairstyle. To snap up this goodie, send your details on a postcard to Black Beauty & Hair/Coconut Oil, ESCO Business Services Ltd, Trinity House, Sculpins Lane, Weathersfield, Braintree, Essex CM7 4AY. To snap up lots of giveaways from Black Beauty and Hair Click Here! Not really enjoying the weather at the mo, but Que Sera! Hopefully it will warm up later this week. I remember before starting my hair journey I would have run like a mad woman screaming from the rain, not wanting to mess up my do! But now a days I have no need, I rarely press my hair anymore and if it has been recently straightened I just wash it when I get home if I have time. A bit of moisture doesn't seem to bother me anymore as I know its nothing to be afraid of. i of course wear my hair up most of the time so a bit of drizzle isn't a prob. A torrential downpour however might be a problem. Anyone else experienced this phenomenon of walking calmly through the rain since they started their journey... Let us know your Hair Scare Stories. Anyway moving on... Just thought I would talk a bit about the tangle teezer. I am still using this tool everyday and have found it more useful than my comb. If I do use it when stretching I do lose a bit more hair than normal, but that is expected as it is a lot thicker. I still recommend using this a smoothing device. I tend to comb and style my hair the night before, wrap in a satin scarf and in the morning only a slight amount of smoothing required. Therefore less messing around with my hair and less hair loss. Also I have found that this device is great wit detangling wet hair. Anybody have any Hair Care stories they want to share? or anyone loving their tangle teezer? As promised some pics of my hair 13 weeks post relaxer. What a difference a year makes. I looked at this photo and was a little disappointed but after looking at last years photo, a reasonable amount of growth can be seen and I am happy. Also my hair feels so thick, so much so, that after contemplating buying the Ojon thickening Shampoo and conditioner I changed my mind. After years of really thin hair, it just isn't necessary any more. I have so much hair now in comparison to a few years ago. My hair could also possibly use a trim but I will give it a bit more time before I do this. I only use Clarifying Shampoo once a month and I put a reminder in my diary so that I don't forget or get the dates incorrect. Conditioning with Joico K Pak Intense Hydrator mixed with Joico Moisture Recovery Conditioner and Joico Moisture Recovery Treatment Balm. I stretch my hair for 12 weeks and try to keep notes in my diary so I know the correct dates to relax my hair.